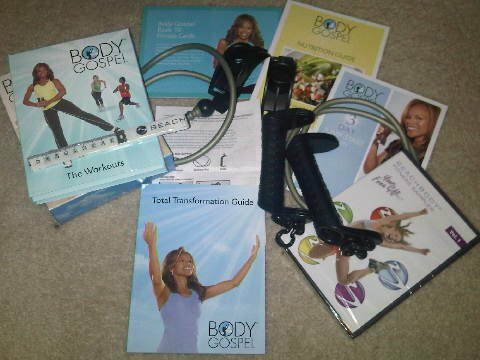 Today was day 4 of my Body Gospel Workout. Today's workout was Rest/Stretch In the Spirit. Donna referred to the moves as Rhythmic Stretching. The moves were fluid dance like moves and it felt really good to stretch those muscles that we'd worked so hard over the last few days. The workout was only 10 minutes long but a much needed one and a very welcome break. Donna ended the workout with a word of inspiration in the form of a reminder, that what we sow we will also reap. And by sewing healthy habits we will reap the benefits of a fit, healthy body. Today's topic was Strong and Noble. The idea behind today's topic is that we should always strive to be people of noble character. Our attitude and daily activity should represent outstanding morals, values, and qualities. It's not that any of us are expected to be perfect. Because we there is no one perfect, but the Father. So we strive to be noble people and pray for God to guide us in our actions and decisions. Today's scripture reading was Proverbs31:10,17, "Who can find a virtuous woman? for her price is far above rubies...she girds her loins with strength, and strengthens her arms." Don't skip the stretch. By day 4 you've really worked your muscles and they will benefit from stretching exercises. Allow yourself to enjoy the ease of the workout and focus on the positive energy that you are creating. Be Blessed!